Klein Steel Services, Inc., in Rochester, New York, won a Gold Stevie® Award for its company website in the Website Awards categories of The 2014 American Business Awards. Finalists in the 2015 competition will be announced on May 7. Laura Ribas, the VP of Marketing at Klein Steel Services, Inc., has been appointed Chair of The 2015 American Business Awards Final Judging Committee for the Website Awards categories. We asked her for her thoughts on what winning a Stevie® Award has meant to her, what she is looking forward to in judging the 2015 Website Awards, and more. d) drive leads and engage the audience using bold images and stronger copy. The website showed a 50% increase in monthly unique visitors within the first two months of its launch. Visitors found the site friendly, easy-to-navigate, intuitive, and visually pleasing. The new site had a scale-able, maintainable foundation; and it maximized search engine optimization. We asked Laura what new technology or services she has found most useful in getting the news about her company out to into the world. She told us that she maintains the traditional marketing and PR channels, but that, over the years, there have been changes. “Our company has incorporated greater marketing automation tools and a more robust social media strategy—including frequent blog feeds to LinkedIn—to get the news out about Klein Steel,” she explained. The team is justifiably proud of its new website. Adds Laura: “It was quite an honor for Klein Steel to be recognized among such highly esteemed, global organizations.” She is looking forward to reviewing the 2015 Finalists in her role as Chair of the Website Final Judging Committee. Laura Ribas is the Vice President of Marketing at Klein Steel Service Inc., in Rochester, New York. 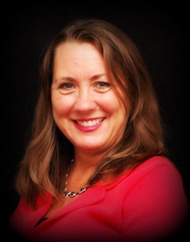 She has over 25 years of progressive and diversified experience in management consulting and marketing strategy. Laura is a leader and mentor who thrives in team- and values-based environments which are professional, motivating, and fun. With an ethical foundation and positive attitude, she brings a focus on delivering results with fiscal responsibility. She is passionate about bringing brands to life by using data-driven insights to derive strategy, employing killer creative, and engaging storytelling to bring the right, actionable message to the correct target audience. Her mission: the betterment of people, processes, organizations, and brands.